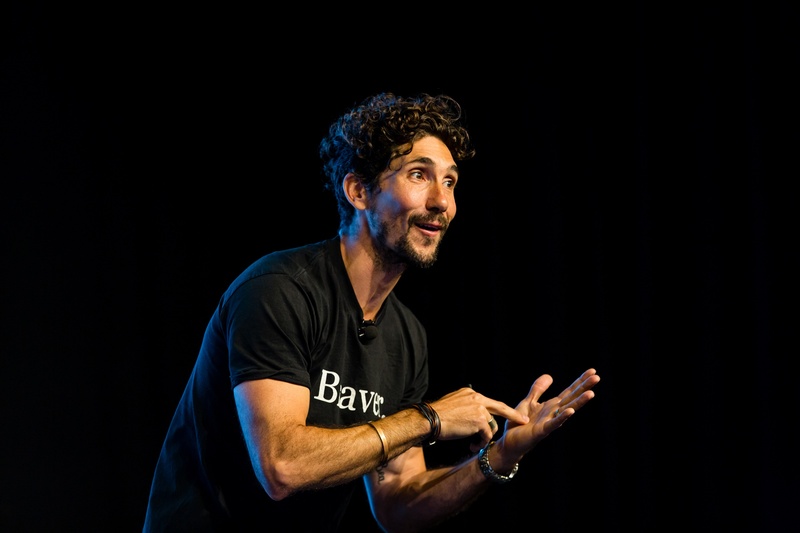 Gus Balbontin has come from ‘the future’ – and he has a warning for the private healthcare industry. ‘Us’ being the Lonely Planet, where he was head of innovation when the travel publisher was trying to make sense of – and survive – the digital revolution of the late 1990s. The lessons of this ‘compound disruption’ – “we got hit with everything all at once and it kept coming at us” – are just as applicable to the healthcare industry today, Mr Balbontin said in a keynote speech at the Australian Private Hospitals Association’s 38th National Congress in Melbourne. “The media were the first industry to get hit with that digital revolution. There was no blueprint. Nobody knew what to do. All we knew was that for a long time, everything is fine – and suddenly nothing was fine,” he said. Balbontin was a broke backpacker from remote Patagonia in Argentina who blagged his way into an executive role at Lonely Planet. Now a consultant, he shares his experiences of working with innovators such as Google X, Amazon, Apple and Nokia as Lonely Planet faced fierce competition from online rival Trip Advisor. He said a key lesson is that it is not the strongest of the species that survives, nor the most intelligent, it’s the one that best adapts to change. “It doesn’t matter how well you might discern what the future looks like – if you can’t adapt to it, what’s the point?” Mr Balbontin said. Doing the same thing over and over again builds momentum for a business, but such a strategy can leave you exposed in today’s fast-changing environment, Mr Balbontin said. “Momentum is great, if you and the customer are pointing in the same direction,” he explained. “But when the customer changes direction, you can get left behind. He warned against becoming complacent about the quality of your product or service, because someone else will inevitably improve on it – and cited Amazon’s move into Australia as a potential challenge to the healthcare industry. “The moment you fall in love with your product or service, the moment you think you’re doing the best, is the moment you start declining and disappearing. “There’s new things coming into the market all the time. Amazon is only getting going in Australia, but it will impact everything, the same way as Google impacted everything for Lonely Planet (with its online search functionality). People will expect of you the same as what Amazon can deliver,” Mr Balbontin said. He also warned against underestimating industry ‘disruptors’ – especially the ones that seem too unbelievable to succeed, such as cryptocurrencies and blockchain technology. “When disruption hits, the first thing we do is laugh. And at the beginning, most of the new products that come onto the market fail. And we say, ‘See I told you it couldn’t work’. But then eventually they figure it out and it’s too late to do anything about it,” Mr Balbontin said. Mr Balbontin said it is vital to focus on what the customer needs, not your own business issues – otherwise someone else will offer your customers the solution they desire. He cited the example of how Trip Advisor took over the online travel market and is now worth about $5 billion, while early industry leader Lonely Planet was sold a few years ago for about $75 million. “We used a very powerful tool called the internet to fix our own business problem: to sell more books. We built a website to sell books. They used the internet to fix the customer’s problem: to travel. They threw everything at it – tourism, hotels, special offers, airfares,” Mr Balbontin said. He said organisations make the mistake of enshrining new systems and processes in ‘concrete’ so they cannot be changed – “and eventually the system owns us”. “Councils, universities, governments are all full of concrete. Dare I say it, health is full of concrete. Business plans are return on concrete – you’re always chasing the customer to come back to you. At Lonely Planet we did a campaign where we said to the customers, ‘Mobile phones run out of batteries, books don’t. Please come back’. “Healthcare is complex. Start chipping at the edges of the concrete. Make people autonomous, give them the ability to behave and fix things on the spot,” Mr Balbontin said. When you do react to industry disruption – such as an innovative new competitor – take small steps as you plan your response. “If you plan too much, you do little. Meanwhile the start-ups and the new companies are just moving faster and doing,” Mr Balbontin said. He said humans are born wired to learn through failure – and success comes in small increments as you slowly figure things out. “You don’t need to learn by pushing big business plans – the future is robotics, virtual reality healthcare etc. Do it little by little; learn, play, poke, iterate until you get it right. Simulate, if you have to,” Mr Balbontin said. He said there are three key qualities needed to success in innovation: curiosity, courage and resilience. “Encourage your teams to have curiosity; encourage yourself. School systems kill curiosity – don’t ask questions, don’t do that etc – but curiosity is the mother of invention. “When you come up with ideas, remember that most of them are terrible. We’re all terrible at it. This is why you need courage and resilience. You need courage to share them, and resilience to patch your ego and do it again and again. “Innovation is important – do it lots and lots and lots until something sticks. I come from the future, trust me!” Mr Balbontin concluded.